Frame of Mind Advertising – For those potential customers actively looking for your product or service, Google Adwords can be used to drive highly qualified traffic into your funnel. These users are in the frame of mind to purchase and can be directed to a landing page, event site or other destination to make a purchase, subscribe or opt-in to your offer. Top of Mind (or Interruption) Advertising – For those not actively looking for your product or service, ads can be strategically placed within the social feeds of those most likely to be interested. Attracting and converting these prospects typically includes Facebook, Instagram, or YouTube ads and funnels designed to capture information or drive transactions. Retargeting (or Remarketing) – Once users have visited your site, audience data is captured and allows for ads to appear to visitors on other parts of the web including social networks. 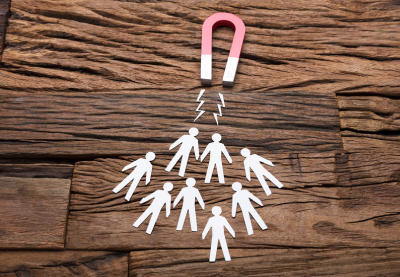 Retargeting allows a business to keep their message or offer in front of those who have already shown interest in a business. Contact Buzzadelic today to see how our Lead Generation services can help drive new customers to your business.